The Pacific Northwest Climate Impacts Research Consortium (CIRC) is a climate-science-to-climate-action team funded by the National Oceanic and Atmospheric Administration (NOAA). 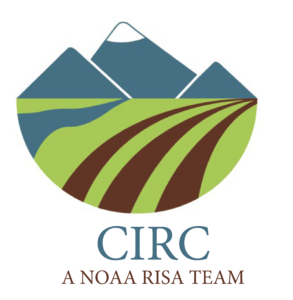 CIRC is a mix of scientists from varied disciplines including atmospheric and social science, and is a proud member of NOAA’s Regional Integrated Sciences and Assessments (RISA) program, a national leader in climate science and adaptation. The CIRC data mining stream is a component of CIRC, and is exploring ways to use data mining and machine learning techniques to understand relationships of climate and drought with areas such as agriculture and health.